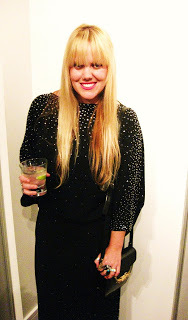 also spotted @ fashion house was samantha beckerman, looking smashing in vintage halston. we were a few vodka sodas deep, but believe the piece was acquired for a fiver at an up-province flea market. we die. can this be true? if so we are there. and for the record, toronto needs a really amazing (fashion oriented) sunday flea market. oh what this would do for our lives. and if you have yet to check out the beckerman sisters’ style blog: beckerman bite plate make sure you do. their styles are so fun, unique and quirky. and the recent collab the girls did with uniqlo is adorable. check it here. Next post bras and ranties hearts.